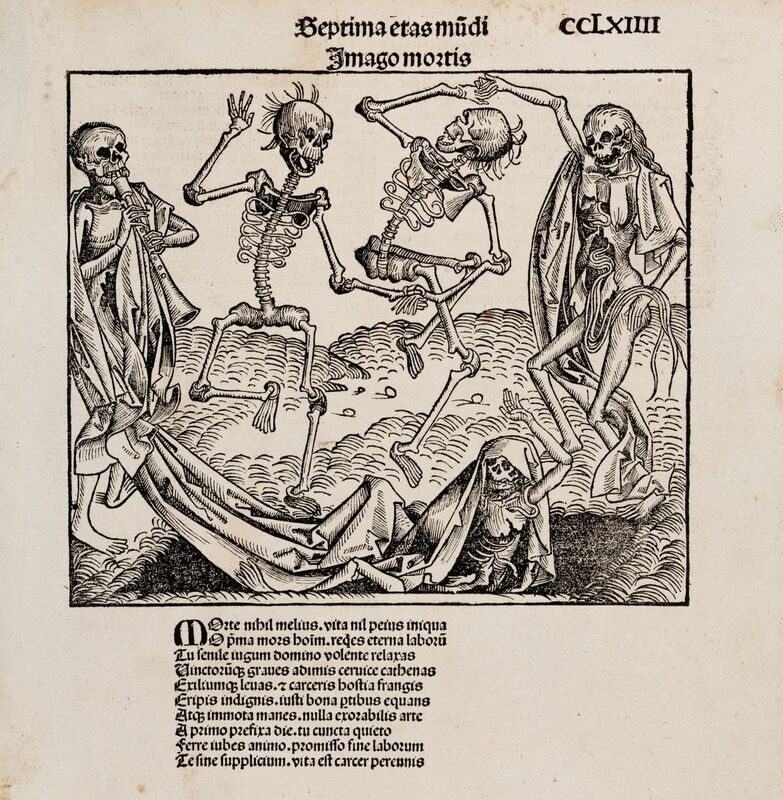 Dance of the Death (Danse Macabre) by Wilhelm Pleydenwurff from Schedel's world chronicle, printed in Nuremberg in 1493. 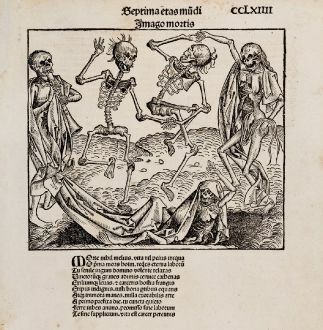 The famouse Dance of Death or Danse Macabre is one of the most sought after leaves of the Nuremberg Chronicle by Hartmann Schedel. 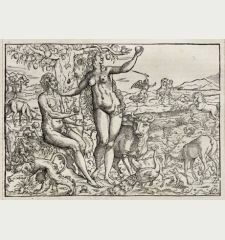 This woodcut is attribute occasionally to Albrecht Dürer. 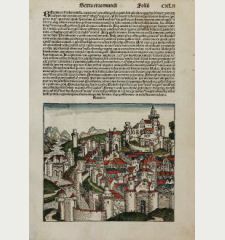 Leaf number CCLVII. 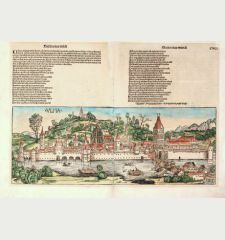 The woodblock cutters were Michael Wolgemut, the well-known teacher of Albrecht Dürer, and his stepson Wilhelm Pleydenwurff. 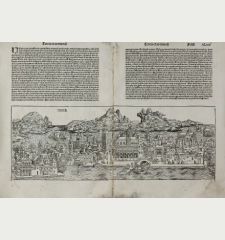 Wohlgemut was Albrecht Dürer's tutor between 1486-90. 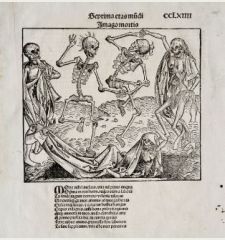 Since the young Dürer was active in Wohlgemut's printer shop during the time the woodblocks for the Nuremberg Chronicle have been produced, he may also have collaborated, since some of the cuts bear a remarkably close resemblance to his Apocalypse illustrations. 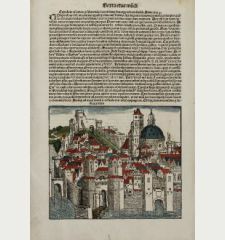 Left corners and a part of lower margin outside of the printed area restored. Small wormhole in right margin. Good strong impression.